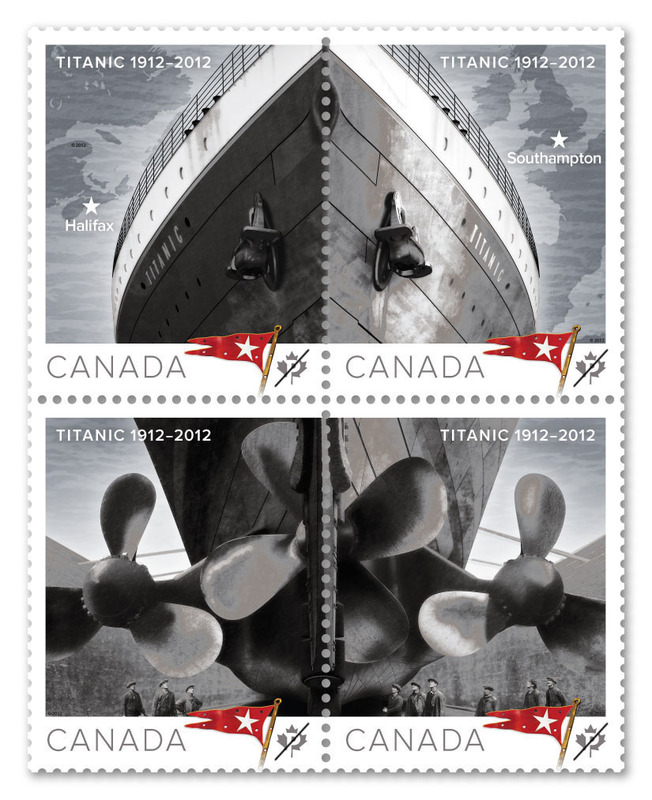 eD@HoMe: Titanic Cover From Canada! 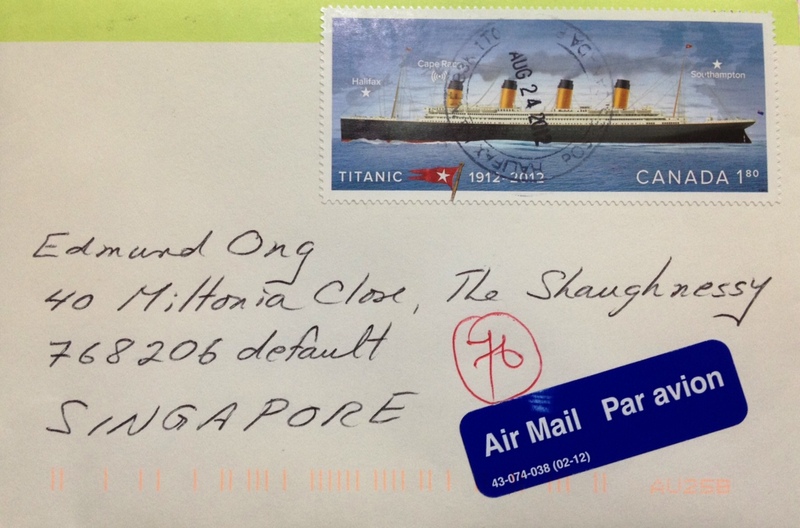 Many thanks to Robert Ferguson for this awesome Titanic cover posted from Halifax, Nova Scotia, Canada (a special place in the Titanic history, which we'll discuss later). On 5 April 2012, Canada Post unveiled five commemorative stamps to mark the 100th anniversary of the sinking of the Titanic. 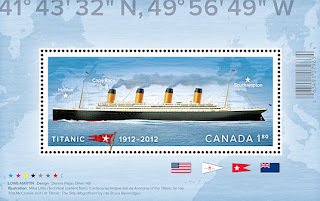 The collection includes four domestic 61-cent stamps that feature both the bow and stern of the Titanic, emphasizing the size of the massive ship. In addition, an international $1.80 stamp (affixed on the cover) features a full-colour image of the Titanic sailing on calm waters and incorporates a map marking the ship’s path makes up a set. Why is Halifax so special? Located on the eastern coast of Canada, Halifax has one of the most moving and intimate connections with the Titanic disaster, playing a key role during the tragedy's aftermath and becoming the final resting place of many of her unclaimed victims. Three Halifax ships were involved in the grim task of recovering victims - many of whom were laid to rest in three of the city's cemeteries. Rows of black granite headstones, each inscribed with the same date, April 15, 1912, are a stark reminder of the disaster. Now, let's enjoy this Titanic Theme Song "My Heart Will Go On" by Celine Dion back in 1997!